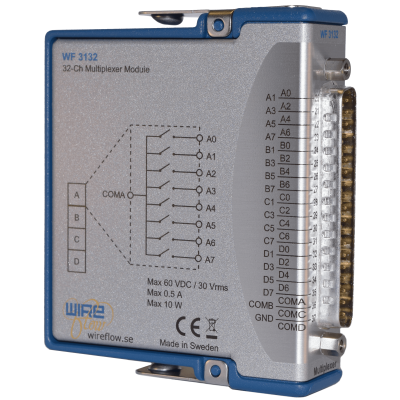 The WF 3168 from WireFlow is a complete battery monitoring and balancing device that includes a high voltage input multiplexer, ADC and balancing switches for each battery cell. 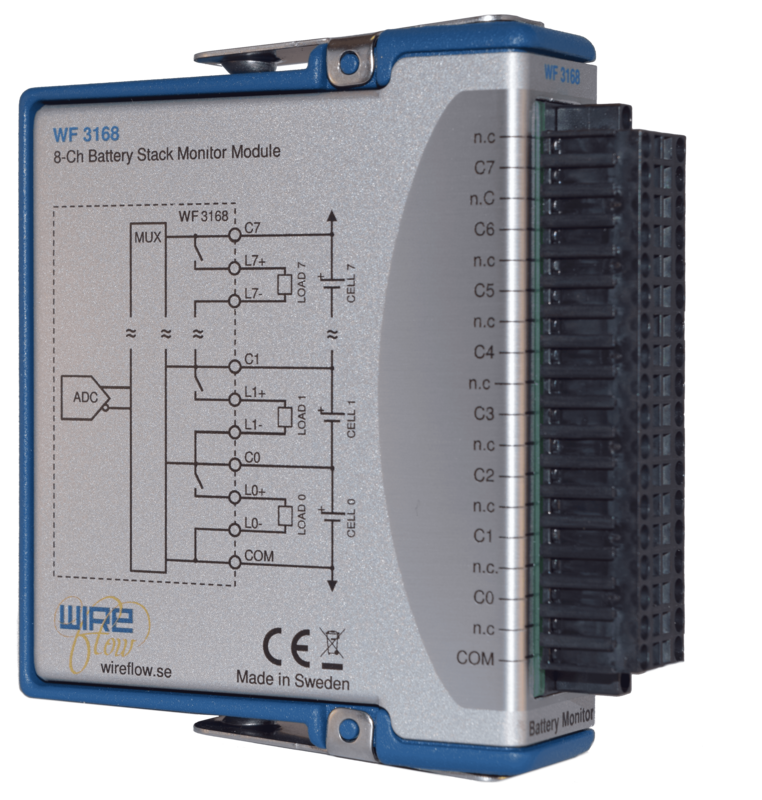 The module can measure up to 8 series-connected cells with a voltage up to 15V per cell. 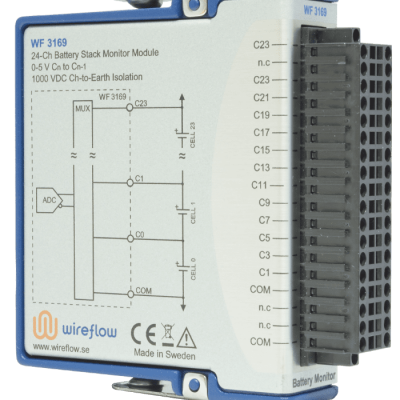 The module measurement circuit is galvanically isolated from the earth ground and provides up to 1000 VDC channel-to-earth ground isolation, making the module ideal for accurately monitoring large battery stacks. 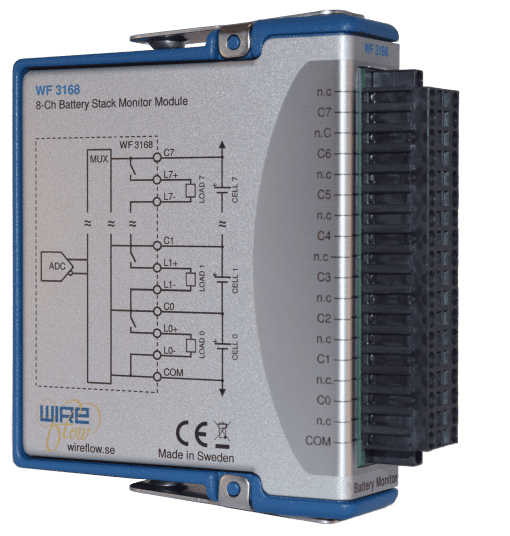 By using several WF 3168 modules it is possible to monitor every cell in a long string of series-connected cells. For LabVIEW versions < LabVIEW 2017, download THIS file instead.